It's official. Our girl crush on Naya Rivera officially knows no bounds. In fact, we might just be dialing up our grandmothers to share a little "secret," ‘cause the actress otherwise known as Santana/"Snix" was near perfect in tonight's coming-out episode. Show. Stopper. "Snix" Slayed! Tonight we finally saw a genuine softer side of Santana, after Finn (Cory Monteith) worked tirelessly to get Santana and her Hulk-like, evil alter ego "Snix" to come to terms with her sexuality. Perhaps he's been redeemed from last week's tragic public outing, now that he let Santana off the hook for the slap? We sure think so. Still, we're gonna laugh when she calls him Fetus Face. Go ahead. Judge us. And of course, Santana's "Snix" is not gone for good. BTW, Cory tweeted that tonight's deconstructed version of "Girls Just Wanna Have Fun" was his favorite number yet. 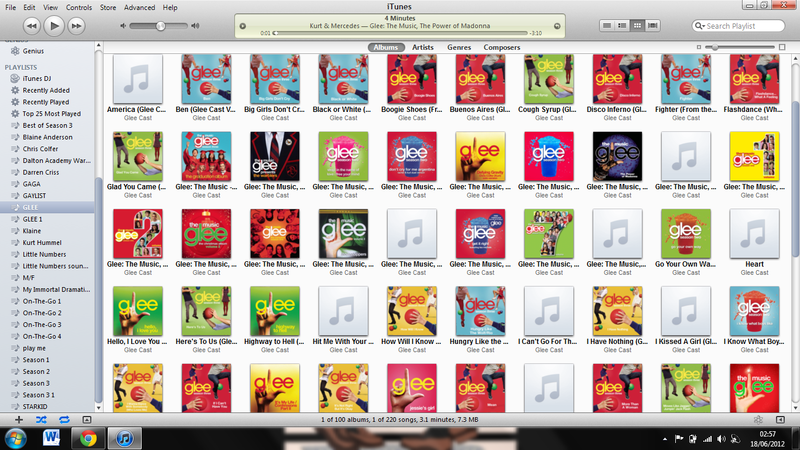 And something tells us you Finn fans had a serious Gleegasm right about 16 minutes into the episode. Right? We Want that Rachel and Kurt Spinoff Now More Than Ever: Warning: The thought of not seeing Rachel (Lea Michele) and her "best gay" Kurt (Chris Colfer) both getting into NYADA at season's end might just send us off the deep end, and we aren't sure we can handle the mental-health bills. Whether it's a spinoff or a separate NYC storyline as part of the original mothership, Ryan Murphy, please, make it so! David Boreanaz, You Are Not Man Enough for Sue Sylvester: I hear (writer and executive producer) Ian Brennan wrote Sue's (Jane Lynch) hysterical journal-writing monologue tonight in which she peruses her black book and reveals such gems as Matt Lauer being a crier, Oliver North being a biter, and David Boreanaz just not having what it takes. Flashback episode stat, please! And a gold star for Ian! Two Gripes: We'd heard that Brittany (Heather Morris) would play more of a supportive role in Santana's coming-out process, and from where we're sitting, tonight's episode was seriously lacking in memorable Brittana moments. And hello...How's about a kiss?! Isn't that what this episode was all about or is the "kiss" in "I Kissed a Girl" a metaphor for checking someone's name on a ballot? That's about as much display of affection as this episode afforded. Here's hoping for more in the coming weeks (see below for more on that). Also, Gripe No. 2, Puck's (Mark Salling) Mohawk has become something of a weird comb-over-hawk (with cowlick and all), which may explain, in part, why we got some serious heebie-jeebs at the Shelby-Puck elbow rub in the ER scene. Say it with us now: Ewwww. We're kinda over that whole storyline. Sorry. Quinn Is Crossing Over to American Horror Story! OK, not really. But how else would you explain this pretty, baby-obsessed blonde going completely nutso over wanting another baby? Quick, someone check the back of Quinn's head for an exit wound! It would explain so much.